By Michael J. Boyle, Esq. Recently much media attention has centered on a YouTube video of a man in North Florida who passes through a DUI (Driving Under the Influence) checkpoint without being detained. In this video, the driver dangles a plastic bag out the driver’s side window on a string. Contained in that bag is an assortment of documents which police routinely ask to review when a driver is pulled over for a traffic stop. Along with those documents, the driver in the YouTube video has printed out a statement which can be downloaded from a South Florida DUI Attorney’s website, which proclaims that “I remain silent. No searches. I want my lawyer.” It is the opinion of that lawyer, Warren Redlich, that the contents of this plastic bag and the contents of his “Fair DUI Flier” are the sole reason that the person in the YouTube video is not detained in the DUI checkpoint. That is debatable. Furthermore, this advice is likely to lead people who take Mr. Redlich’s advice to find themselves arrested for non-traffic or DUI related offenses. Essentially, this advice is likely going to create problems for people, not solve them or avoid them. Michael Boyle, a LeavenLaw shareholder and former Assistant State Attorney, was charged with the duty of prosecuting DUIs for years in Pinellas County, Florida and had a particular familiarity with DUI checkpoints in Florida. During his service as a prosecutor, Attorney Boyle actually worked DUI checkpoints as a law enforcement officer and advisor. Attorney Boyle further notes, the author of the “Fair DUI Flier” is a New York lawyer who was admitted to practice in Florida less than three years ago. 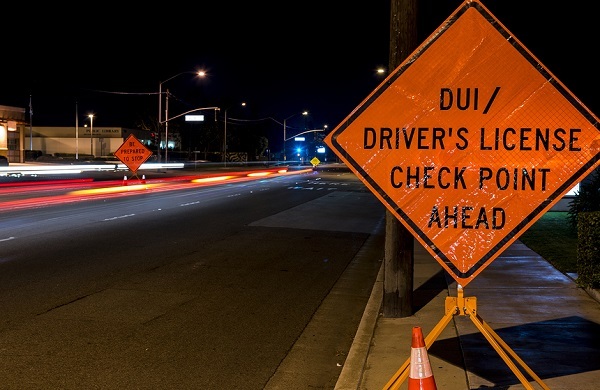 First of all, the United States Supreme Court has ruled that DUI Checkpoints are legal. However, in order for a DUI checkpoint to be lawful, it must not leave discretion in the hands of the officers working the DUI checkpoint. There must be a plan that is filed with the State prior to the roadblock and the officers must strictly adhere to the plan. A DUI Checkpoint plan will typically not direct that every car that pulls up to the roadblock be stopped. Instead, it is common for a DUI Checkpoint plan to dictate that every third or fourth or fifth vehicle be stopped for the purpose of determining if the driver is impaired (depending on the plan). Therefore, unless you are the “lucky” car, you will be waived through. It is important to know this and keep this in mind when viewing the YouTube video. It is far more likely that the vehicle in this video was not detained simply because it was not random car selected, and not because of the plastic bag hanging out the window. Ironically, if your car was not the random car required to be selected at a checkpoint, and you stick a plastic bag out your window telling the police that you are not going to talk to them, you have drastically increased your odds of having them find a reason to detain you. The real problem with this “Fair DUI Flier” is if you are the car who has been selected to be detained. If you are the “lucky” car that is asked to stop for the purpose of determining if you are impaired, and you believe that you do not have to roll down your window, answer any questioning, or participate in the officers determination of your level of sobriety…you are in for a whole new set of problems. Specifically, in Florida it is illegal to disobey or ignore a lawful command from law enforcement. If you refuse or ignore them, you are committing a new crime of Resisting Arrest Without Violence/Obstruction. You may have been sober and just attempting to exercise your rights (as you understood them), and you will still be arrested. Pinellas County Sheriff, Robert Gualtieri, has publicly stated that he would not hesitate to arrest a person in a “Fair DUI Flier” situation. David Shoar, St. Johns County Sheriff and President of the Florida Sheriffs Association said “They wouldn't be allowed out of that checkpoint until they talk to us.” For a link to the entire article, please click here. Being the second car in line when the checkpoint plan calls to stop every fourth car means you are not going to be stopped. There is no magic to that. There is no legal loophole. The same outcome that took place in that YouTube video would have happened without that plastic bag hanging out of his window. The planning and operation of a recent DUI Checkpoint conducted in our area is documented in this "Sobriety Checkpoint Plan" provided by the Pinellas County Sheriff's Office. In short, the “Fair DUI Flier” is a gimmick, based on flawed logic and bad legal advice. If you would like advice from an attorney who has been on both sides of DUI cases in the State of Florida for over a decade, please do not hesitate to contact Michael Boyle, Esq., shareholder in charge of Criminal Defense for LeavenLaw. Mr. Boyle has been defending DUI drivers in the Tampa Bay area since August of 2006, and he does NOT recommend following the advice contained in the “Fair DUI Flier”. Please visit www.LeavenLaw.com or call toll free 1-855-Leaven-Law for more information.